Although often tasked with improving diversity and inclusion, HR is still often seen as a “white female” career. But is this necessarily the case? 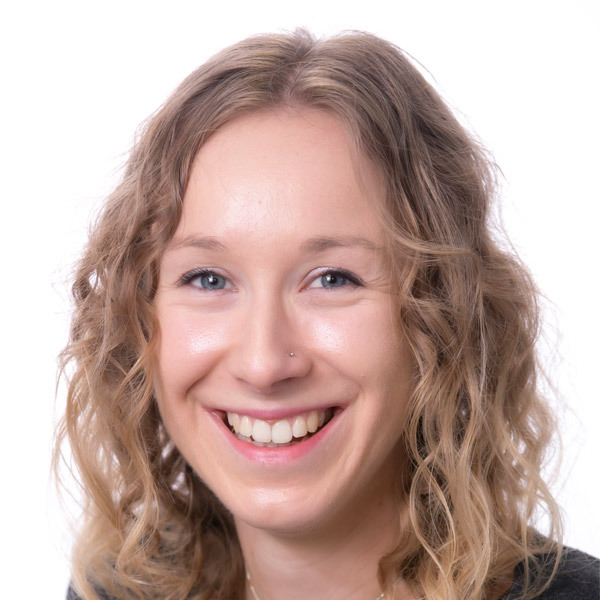 Ashleigh Webber looks at gender and racial diversity in HR and whether it is as homogenous as it seems. It is no secret that a lack of diversity – particularly in senior positions – has become one of the biggest challenges for employers. Most would be shocked to learn that in 2018 more than half of FTSE 100 firms did not have a single director from a minority ethnic background and only 22 had any female executives on their boards – a culture that is bound to influence all levels of their organisations, whether it is intended or not. Tackling cultural issues such as this usually sits firmly within HR’s remit. But, as many commentators would argue, how can HR address inequality that a broad spectrum of workers experience, when the profession is perceived as mostly white and female? 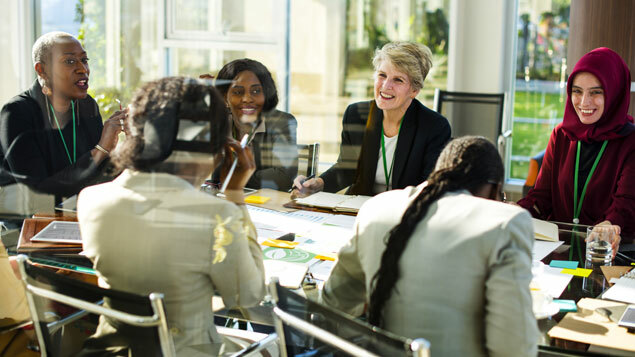 Teresa Boughey, CEO and founder of diversity consultancy Jungle Diversity, suggests that, as with many other professions, HR is not immune to the underrepresentation of minority groups. “When I reflect upon my own HR career, I recall there were no other fellow students from ethnic minority backgrounds in any of my CIPD study groups,” says Boughey, who considered the profession for her forthcoming book Closing the Gap – 5 steps to creating an Inclusive Culture. The benefits of maintaining an inclusive workforce are clear and there is no shortage of research claiming that the most diverse businesses are more successful than those that are not. McKinsey & Company says that companies in the top quarter for ethnic diversity are 33% more likely to achieve profit that exceeds industry averages than the least diverse businesses, while INvolve and the Centre for Economics and Business Research suggest GDP would be around 7% higher if gender, ethnicity and sexual orientation diversity were addressed. But Raj Tulsiani, chief executive at consultancy Green Park, says the apparent “white female” dominance of the HR profession has led to “prevalent group-think” becoming one of the biggest problems within HR departments, which is affecting many decisions that involve minority employees and customers. Boot suggests that HR’s lack of diversity is clearly reflected in speaker panels and discussion topics at HR events. She highlights that events sometimes “avoid facilitating race discussion at grass roots level”, effectively sweeping the issue under the carpet. In fact, several Twitter users recently criticised the CIPD for booking several all-male panels at an event later this year, despite more than three-quarters of its membership being female. The organisation responded by stating that speaker diversity was “at the forefront our priorities” and that it chooses speakers based on the “quality and relevance of content alone”. Speaker panels, it emphasised, had not yet been finalised. Yet, while there seem to be plenty of anecdotal reports of a lack of gender and ethnic diversity in HR, the results of the CIPD’s latest membership survey (which polled 6,079 members last autumn) tell a different story. The real problem appears to be the lack of diversity in senior HR roles both in terms of gender and ethnicity, rather than across the profession as a whole. Only 7% of senior HR jobs were held by a person who identified as non-white, compared with 18% at junior levels or in entry-level positions. This suggests a significant drop-off in the number of BAME people progressing into senior positions. However, the figures also reveal that the profession is generally representative of the UK population, of which 14% of people identify as non-white, according to the 2011 census. 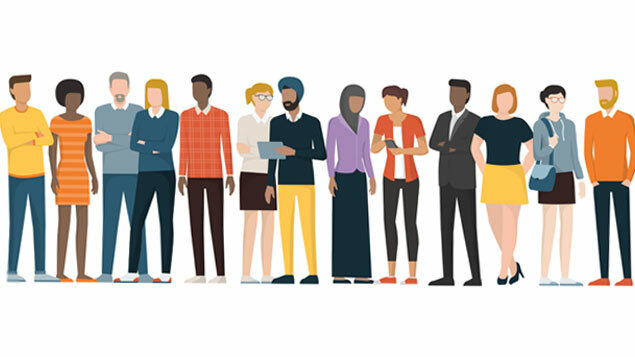 With diversity and inclusion an integral part of HR’s role, a person from a minority ethnic group might see HR an area where they can progress and feel accepted, says CIPD membership director David D’Souza. But could they be put off a career in an area with such an apparent glass ceiling? “Over time I would expect it to become more attractive to those from a BAME background,” he says. Unsurprisingly, the survey also found a significantly lower proportion of men than women in HR: 77% female and 21% male (with the remaining 2% selecting another gender identity or preferring not to answer), compared with 60% male and 40% female across the working population. But despite being a female-dominated profession, men still seem to take up the majority of senior HR positions. Boughey says there is an abundance of women in junior administrative roles and early-level HR adviser positions, but HR is “peppered with male leaders” when the top of the career ladder is looked at – often those who have entered the profession through an alternative route. This lack of gender balance is also apparent when the HR’s “gender pay rise gap” is looked at. Recent analysis by HR recruiter the Oakleaf Partnership found that men in senior HR roles often receive higher pay rises than their female colleagues – with male senior HR professionals in the reward and analytics sector, for example, receiving pay awards 21% higher than women. Safia Boot agrees that HR should be setting an example to other professions and taking action to address the inequalities seen across some areas of business. “Businesses should apply recommendations [about D&I issues] to HR first,” she says. “HR should act as an example and should be having those difficult conversations that are often not spoken about. But how can HR address some of the barriers that those from minority ethnic groups face? Boot suggests getting hiring managers to ensure that they are interviewing candidates on their strengths, possibly considering “blind CVs”, for example. However, she points out that these only work to a point because a person’s ethnicity usually becomes clear when they are brought in for an interview. Instead, organisations might need to address any wider biases that might persist. HR also needs to be more innovative when looking at recruitment, adds Raj Tulsiani. “Despite lots of effort and rhetoric, too few HR professionals take their own advice, particularly when choosing recruitment partners. What are they willing to do differently to have the choice of attracting and retaining more difference?” he says. While there are regulations to prevent discrimination in hiring and promotion decisions, organisations still need to do more to stop those from ethnic minority backgrounds from being unjustifiably shut out of roles – and this should not simply be offering more training. Tulsiani is particularly critical of unconscious bias training, describing it as a “busted flush” that will not solve the problem – in his experience, unconscious bias training programmes have not translated into change being seen. As with many other careers, senior HR roles need to allow a greater degree of flexibility to support both men and women who want a successful career and a family, explains Boughey. Roles need to move away from “form-filling and policing policies” towards ones more aligned with the commercially-focused HR business partner model to encourage more gender and age diversity. Tulsiani suggests that there is little the government can do to help address the issue, with much of the onus on organisations and HR teams themselves, but new regulations in the pipeline might help reduce race inequality across the wider workforce. Last autumn Theresa May revealed plans for legislation that would require all organisations to disclose how people from different ethnic backgrounds are paid – in a similar vein to gender pay gap reporting – to highlight any disparities in the career progression and reward among white and BAME employees. Boughey believes that all areas of business have a part to play in building a more inclusive HR workforce, “By including everyone, a diverse and inclusive culture has a greater chance of becoming embedded. Not withstanding this, the HR professional community do have a specific contribution to make to ensure that they are role modelling the culture and behaviours that should be displayed within an organisation,” she says. While it appears that HR is generally becoming more representative of the UK population and workforce, in terms of ethnicity at least, there is still some way to go before the profession loses its “white female” stereotype. 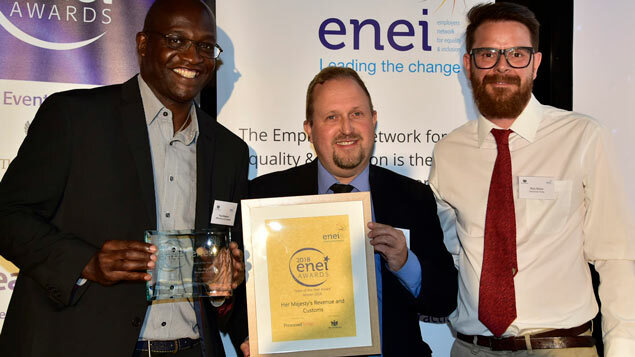 Employers need to make sure the right culture exists in their HR departments to enable those from different backgrounds to progress, otherwise they risk inequality trickling into other areas of the business. 13 Responses to Diversity in HR: is it really a ‘white female’ profession? HR clearly has a diversity problem, particularly with regard to BAME professionals. There have only (EVER) been 2 Black FTSE Group HRD’s (I was one). Asian professionals have fared slightly better. True diversity is hampered by a lack of diverse voices in the profession. Until HR can walk the talk on diversity (beyond gender), we will not have license on the real capability to progress a holistic diversity and inclusion agenda. To be fair HR isn’t, as a profession, doing well on diversity (including gender) given the disparity in numbers between the genders. Like the teaching profession, also overwhelmingly female, it seems the trend is to marginalise males even more than they already are in the professions where women dominate. So where are the calls to get a gender balance in these professions? Seems it is only a problem for HR and govt etc where females are the minority represented group. So quite happy to accept even more entrenchment where their own gender is at an advantage, even though the logical result of that is less available females for professions where they are under represented. Got any data to back up you claim that males are being marginalised David? Considering there are more men named David who are CEOs than there are females in the FTSE 100, i don’t think male marginalisation is a thing we really need to worry about quite yet…. It’s in the article Greg. 77% of the profession is women. When those proportions are raised in regards STEM professions there is, quite rightly, uproar that something must be done. yet where women are in the majority in the profession there is no challenge or calls for specific meaures to redress the balance. As for the CEO response, how many of us are going to be FTSE 350 CEO’s, ever? And how many of them will have an HR background, given most will be either finance or legal. And you make the error of assuming equal numbers of the genders actually want to sacrifice the time to be a FTSE 350 CEO. I suggest you read up on Dr Catherine Hakim and preference theory in western european economies. If HR as a profession wants to be taken seriously on diversity, of which I am an adherent of, then it needs to get it own house in order as well. Quite right, Frank. I would even go so far as to call the HR agenda on diversity nothing but hypocrisy. Just look at the numbers from whichever perspective you prefer. I suggest less talk and more positive Action would help the cause. As someone of a BAME background who is also male, these findings come as no surprise. Having been in the profession more than twenty years I have witnessed first had the complacency and the biases of those who are supposed to champion diversity across various business enterprises. Little wonder that in the twenty first century we are still focused on achieving geneder equality. Functionally HR will continue to lack credibility in the debate with business leadership on this agenda whilst it manifestly fails to reflect true diversity at all levels of the profession. Every time I look at the HR journals or magazines the faces are all the same, white women (majority blond ) with a disproportionate number of posts going to white males. White female HR Managers do the bidding of white males, who feel comfortable with them as opposed to a woman of BAME. I have been in HR for a long time and have seen managers with half my skill and intellect get promotion because they are the acceptable face. HR officers at the top are some of the worst individuals I have known. Also the lack of diversity reinforces a group think that is stale and lacks the innovation to support a diverse workforce. The frustration of trying to get the club to embrace difference is worse than walking in treacle. I gave up my MCIPD membership 2 years ago. Why was I paying over £200.00 per year to an organisation that accepted bad practice (the case of the black female footballer) and whose courses and rhetoric is all lip service. I cannot tell you how many cases involving BAME have been unfairly managed because white females see themselves as a management tool for white male bosses. I have not progressed the way I should because I will not toe their imaginary line and put forward opposing views. If I had to start my career over, I would steer clear of HR. What a waste of time. I know that many will disagree with my view, but that is because they have to justify their existence. Do a straw poll tomorrow of all organisations and their senior HR personnel and publish the report for all to see; this is the department that is supposed to lead organisations to the path of fairness. Really! Then people wonder why there has been no change. It would be funny if this situation was not serious with its serious implications on the lives of BAME members of this society. “Only 7% of senior HR jobs were held by a person who identified as non-white, compared with 18% at junior levels or in entry-level positions. This suggests a significant drop-off in the number of BAME people progressing into senior positions.” I’m not sure this assertion holds up. Couldn’t the figures be interpreted as an increasing number of younger people now joining the profession which should translate into higher numbers in senior positions over time? @CIPD / David Souza provides no evidence or credibility for his ‘opinion’ that ‘HR is inclusive’ as a profession for BAME. His focus is the lack of men in this and other female [white] dominated professions. The implications of a predominately white HR profession advising a white leadership has created a profound barrier for BAME’s in other parts of any organisation & other professions including HR. David D’Souza/CIPD has no access to or interest in the lived experience of BAME’s working in a white space but his quote gets prime exposure [#WhitePrivilege]. This is an example of how white-HR media works hand in hand to maintain status quo to indicate whose view is considered perceived wisdom of the norm group; and which topics get centre stage. The article lacks rigour and provides a weak wake up call on racial disparity in organisations to CIPD, HR/OD/L&D and Leadership. The article fails to evidence the racial disparity data provided by Nuffield report (race discrimination levels unchanged since 1960’s); data on #WhitePrivilege presented by Professional Kalwant Bhopal and racial bullying and discrimination in the NHS provided by Professor Roger Kline; Runneymeed Trust and Professional Priyamvada Gopal. The article fails to consider analysis of ET cases involving race and the poor handling of race allegations by HR and white leadership so that alleged treatment is compounded by #WhiteFragility in its insensitive, too little too late responses. CIPD does not measure ethnicity of its membership and fails to explain why. Quoting a one-off, poorly referenced ‘poll’ of c6k members is a poor substitute for ethnic monitoring within the profession compared to other professions; supported by a transparent action plan designed with BAME input. CIPD’s own leadership is 100% white – how does that still happen 100+ years after its creation? Having three BAME’s on its board since 2015/2016 when they are too distant from the grass roots is insufficient, but clearly of symbolic value. The article fails to question why CIPD does not measure ethnicity in its profession or more ask more searching questions on HR’s role on race. It and the profession is in denial as to how hard it finds talking about race and in particular #WhitePrivilege. See it’s internal 1-hour EmbRACE video – only a 30 second reference to white privilege followed by uncomfortable silence and moving on quickly. The focus is entirely on getting the handful of BAME to be the gold fish in the bowl to talk about their past (not recent) experience of racism – they have the resilience to do this due to talking for decades with no one listening. White identity and privilege is where the discussion needs to go but HR (including L&D/OD) is ill equipped to deal with this due to self-interest. Research shows the main beneficiaries of D&I programmes are white women, again no reference to this and race is diluted by reference to gender as this is an easier topic for white people to talk about. Reni-Eddo Lodge’s book “why I don’t talk to white people about race” should be compulsory reading for HR folk, few know of its existence such is the hypocrisy when it professes to care about race. As always with HR media articles on race, the HR profession will bury its head and not engage with this type of article on or off-line. Media should do a comparison of the level of engagement with this topic versus other topics. Institutional racism is real but still being denied and pushed under the carpet [#Macpherson20]. The preference by white people is to individualise racism by taking a binary view of it – you are either racist in an overt way or not – nothing in between hence a failure to understand it in its innocuous, everyday form and the mask worn to hide it. Total hypocrisy that needs to be unmasked. This is the courage HR folk need to talk to power and itself but is sorely lacking. Does EVERY profession / group / sports team / club / occupation have to have a gender / ethnicity profile which precisely matches the population at large ? That’s one hell of an assertion. Maybe, just maybe, there are real statistical differences between the genders’ inclinations which mean that certain professions / occupations are preferred. Why do you not ask the question of yourself in reverse: namely “Why should any profession/group/sports team/club/occupation NOT reflect gender/race profile of the community it serves?” – you provide no counter argument – it would be helpful to the debate for you to answer this and point to which professions that do reflect a gender/ethnicity balance for you to feel it therefore does not need to apply to ‘EVERY’ occupational group or organisation. What’s your evidence for your assertion there ‘may be'(you seem unsure) that there is ‘real statistical differences between the genders?’ – without source research/evidence you are merely asserting a potentially prejudiced opinion for maintaining the status quo – how does the status quo as far as the HR profile benefit or disadvantage you on the grounds of gender or race? do you even accept there is any racial/gender disparity and implications for how this impacts group think in relation to design of policies, and practices or input CIPD/HR profession has on wider social policy? I and others will look forward to your reasoned argument and an indication of your identity/sector you work in so we can debate these important matters openly and honestly. I am a BME female at Change Partner (BP) level – currently the most senior BME person in HR in my organisation. We have also previously had a Black female Employee Relations Manager (who has gone on to more senior heights within HR in other regional organisations) and a BME male OD Lead who managed the L&D function and was on the HR Lead Team. I acknowledge there is a way to go in women and BME people being representative in senior roles within, and outside of, HR, but it is definitely happening to some extent, in some organisations. To answer the quote in the article, when I did my CIPD, there were lots of people from BME groups studying – if anything, they would have been over-represented compared to their population in the local community. So perhaps it depends where you are from within the UK also? HR has always been very happy talking of a diversity crisis in STEM professions when the gender imbalance is no different from that in HR. How come we can’t speak of a diversity crisis in HR then? This smacks of hypocrisy. In my experience HR finds it very difficult surfacing ‘hot button’ issues like discrimination in its own profession, or harrassment or bullying (yes females bully too! – Let’s not forget the case of the poor HSBC executive who committed suicide); we haven’t even begun to look at HR’s parlous record on bringing more disabled candidates into the workplace. The CIPD needs to start by doing a robust survey of its own profession on all these areas, and publishing them for all to see. Somehow I feel that just ain’t gonna happen – wich I could be proved wrong!